On December 9, 2016, Senator Grahams (Republican- South Carolina), Durbin (Democrat- Illinois), Murkowski (Republican- Arkansas) and Flake (Republican- Arizona) and Schumer (Democrat – New York) introduced the BRIDGE Act (Bar removal of Immigrants Who Dream and Grow the Economy Act), to provide temporary protection to those who qualified for Deferred Action for Childhood Arrivals (DACA) under President Obama’s Executive Action. 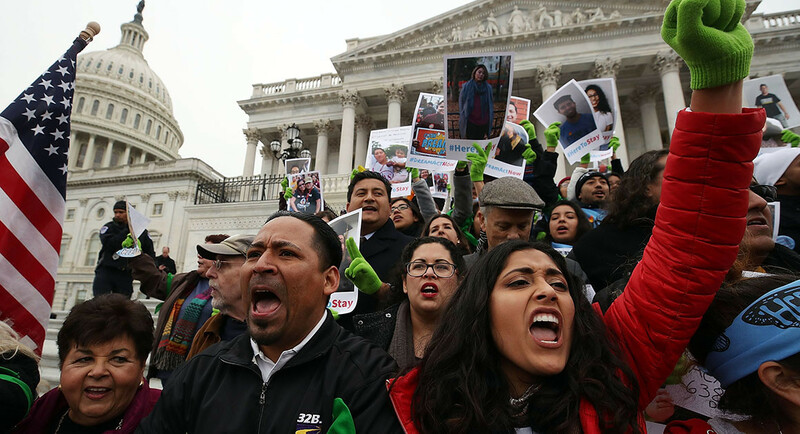 The bill is a response to President-elect Trump’s threat to rescind DACA, and expose the 750,000 people granted protection to the risk of deportation. On the same day, Senator Flake also introduced the SAFE Act, which is paired with the BRIDGE Act with tough enforcement measures that increase the use of mandatory detention and expedited removal. The SAFE Act requires mandatory detention for any undocumented immigrants, even those with many years in the USA who pose no threat to safety. It also requires immigration judges to decide cases in 90 days, making it difficult for people to retain an attorney, and by rushing the case, it erodes due process protection.